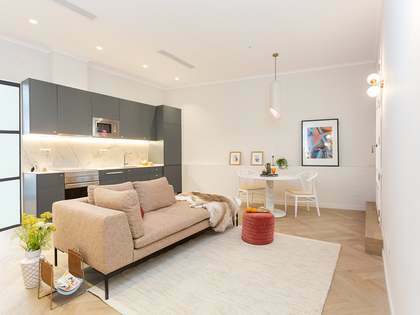 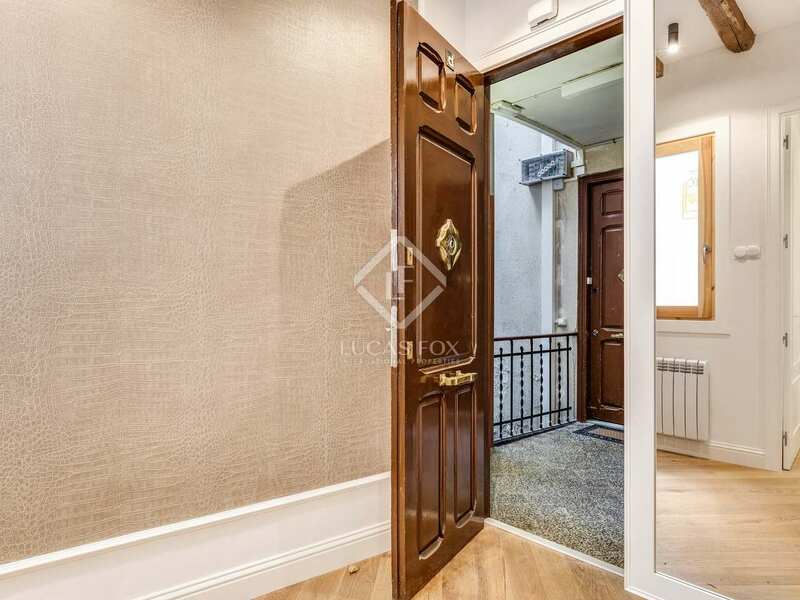 Fully renovated fourth floor apartment with 3 bedrooms, 2 bathrooms, balconies and charming period features combined with elegant modern finishes. 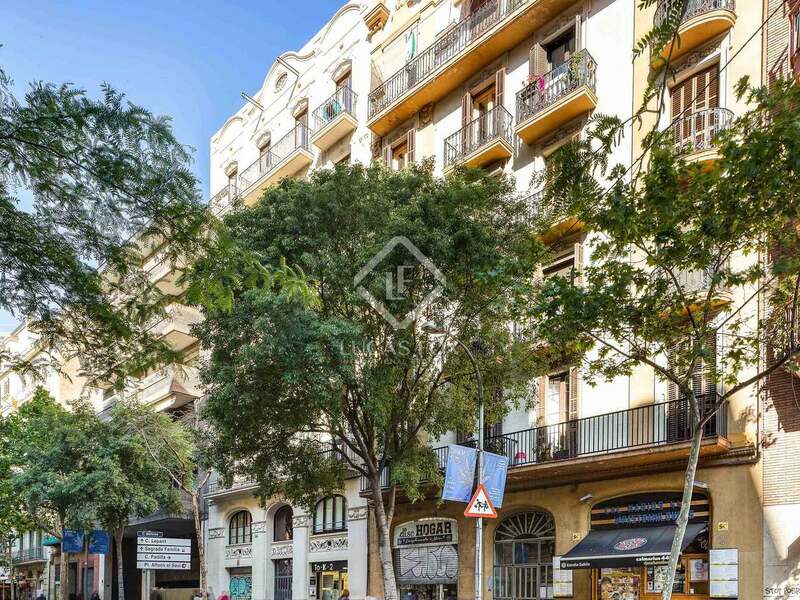 In a lively area Just 2 streets from La Sagrada Familia. 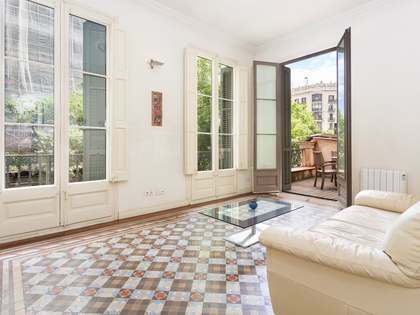 Beautifully renovated 87 m² property located on the fourth floor of a well maintained early twentieth century building with a lift and a communal terrace on Carrer Mallorca, just 2 streets away from the famous Sagrada Familia church and conveniently positioned between the Sagrada Familia and Encants metro stations, at the heart of Eixample Right. 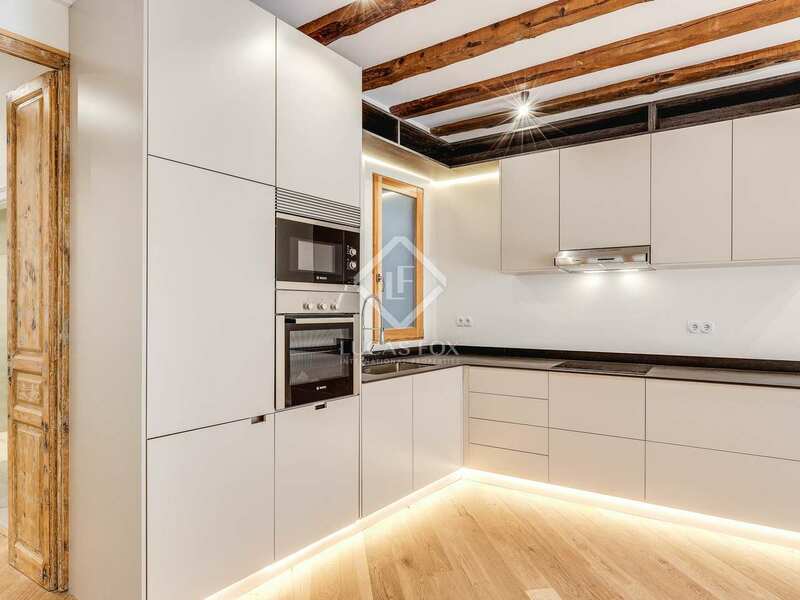 The property has a bright, open plan living and dining room which has a modern fitted kitchen at one end with Bosch appliances and a charming balcony at the other. 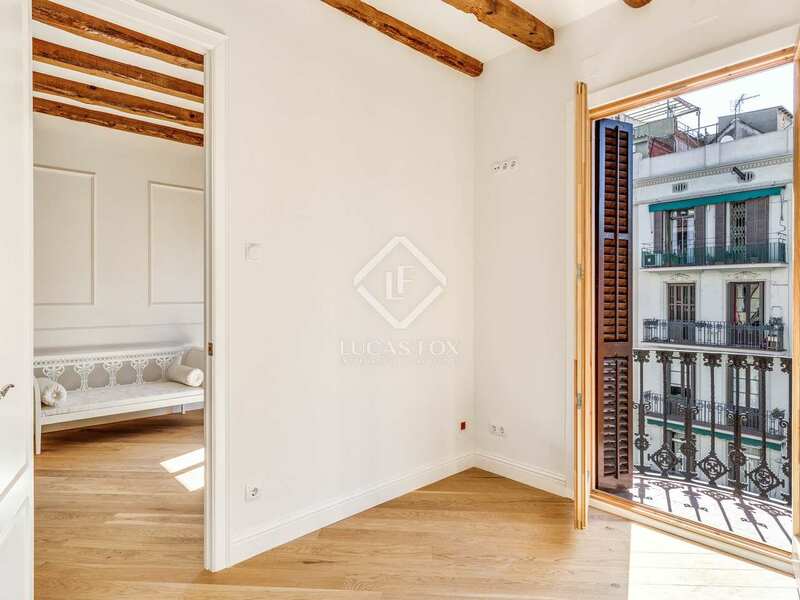 There are 3 bedrooms, one of which also has a balcony overlooking the street and 2 bathrooms, both with showers. The original carpentry has been restored where possible, as well as attractive wooden ceiling beams with Catalan vaulting. 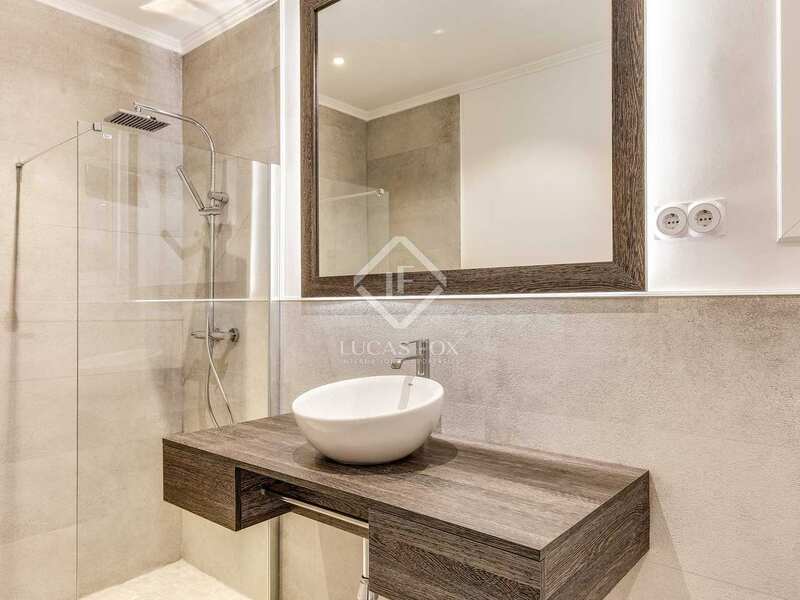 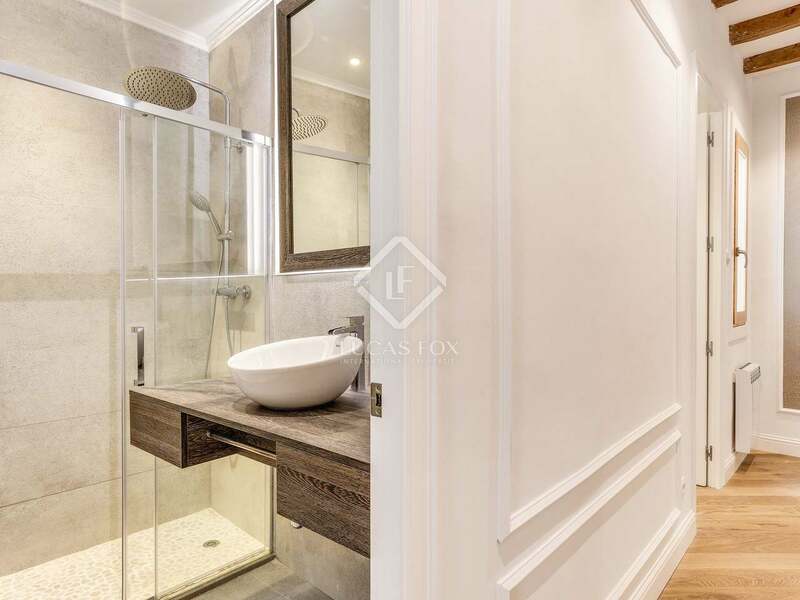 These features, combined with the paneled walls with decorative mouldings, wooden flooring and sophisticated modern finishes in the bathrooms and kitchen, create an elegant, high-end city home. Air conditioning has been preinstalled and heating via radiators keeps this apartment very comfortable in winter. 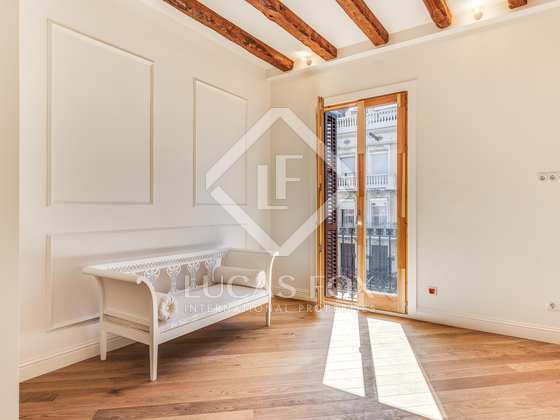 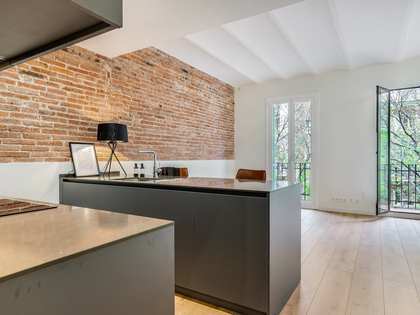 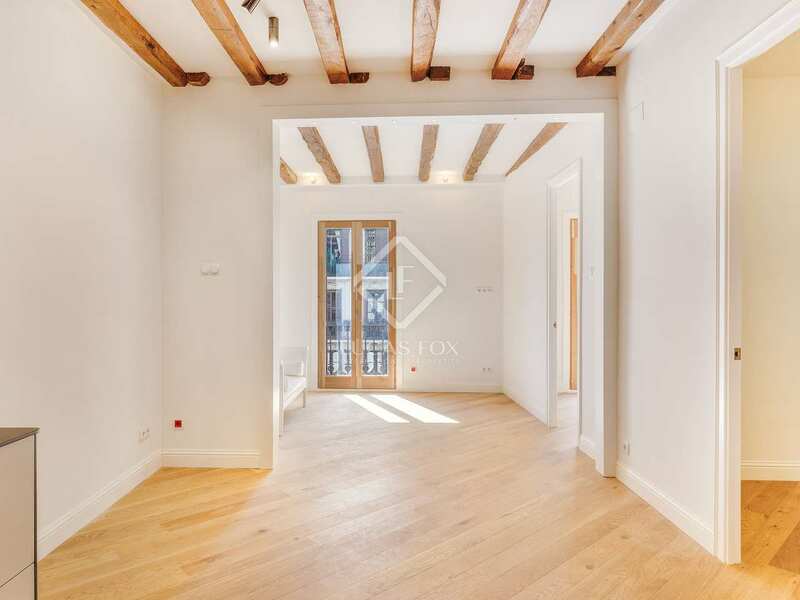 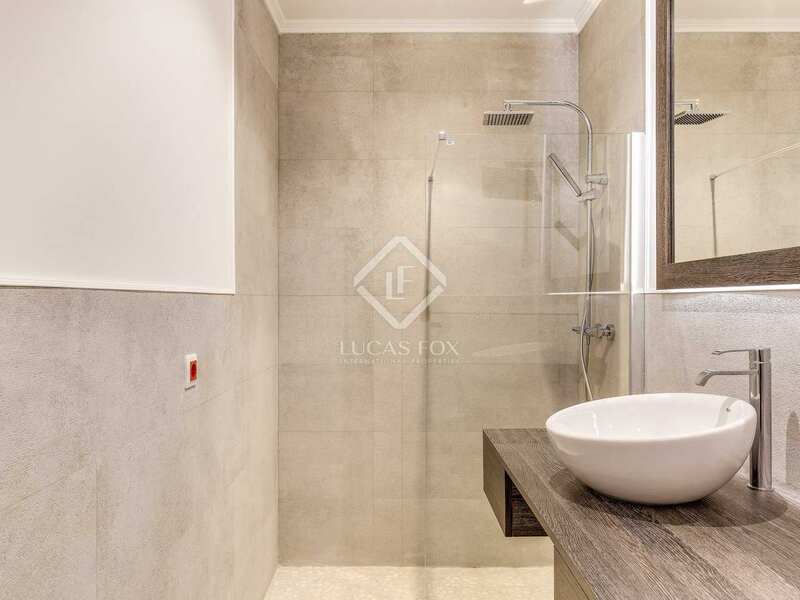 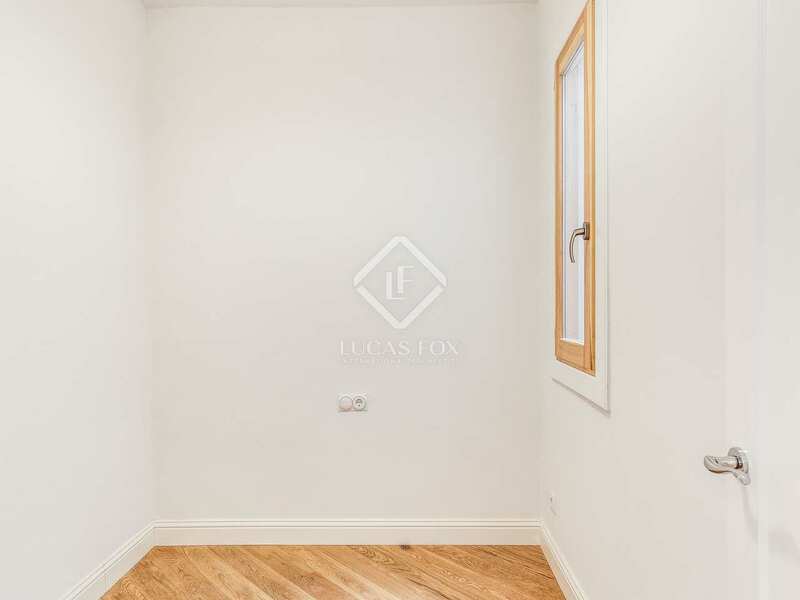 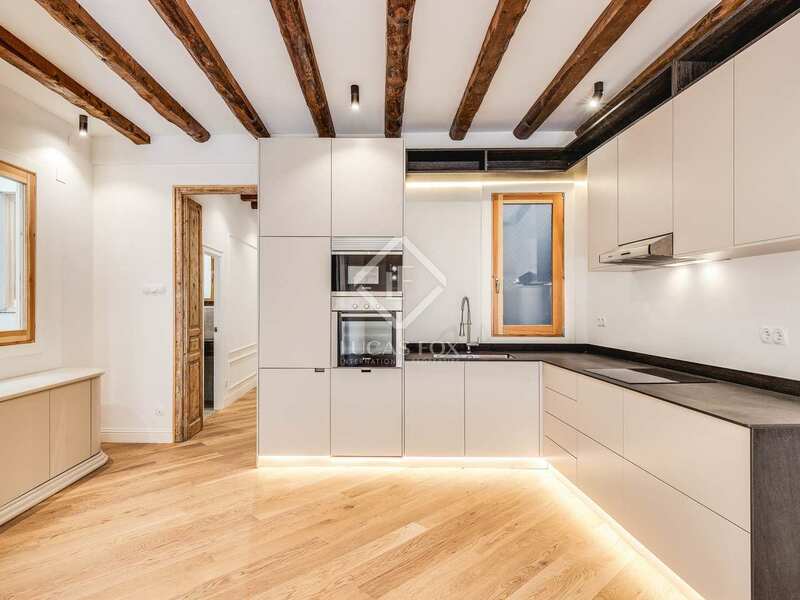 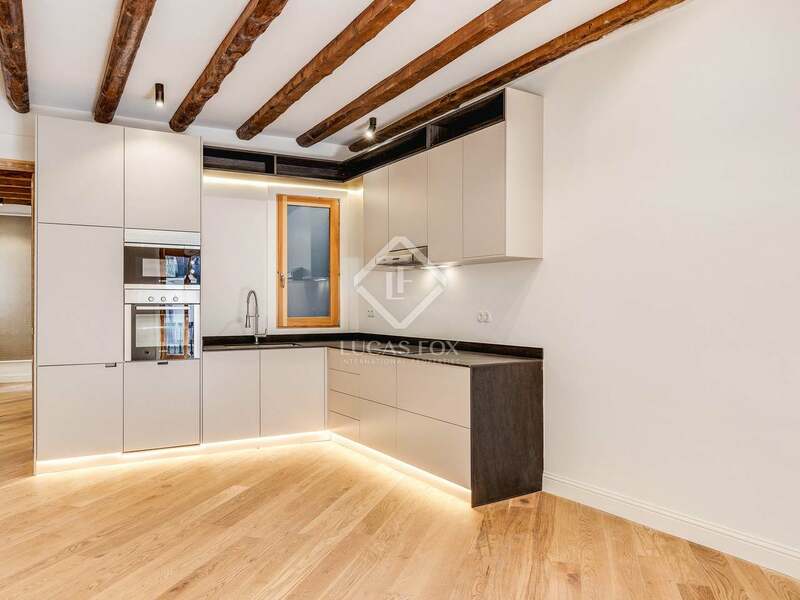 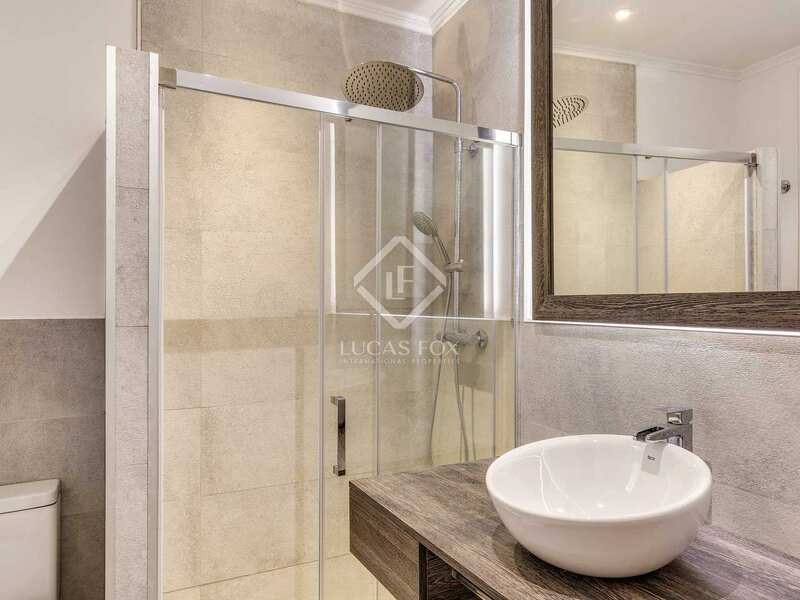 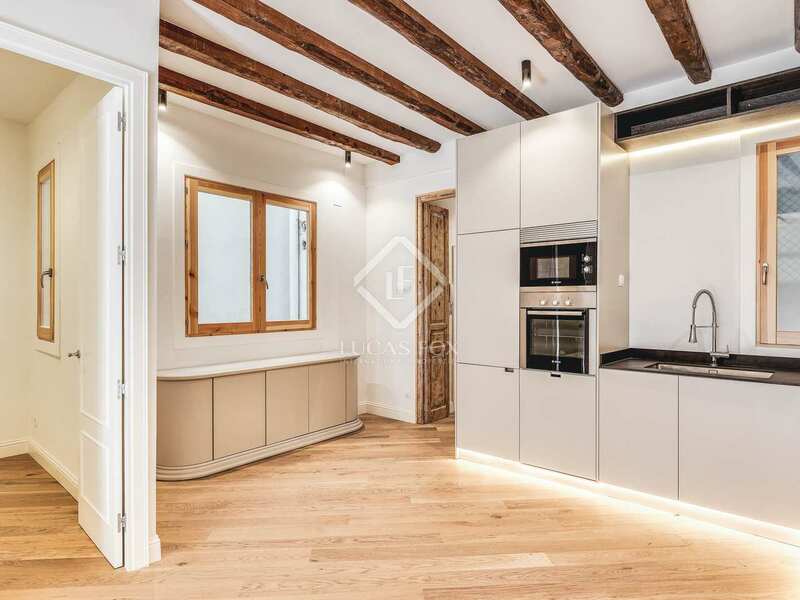 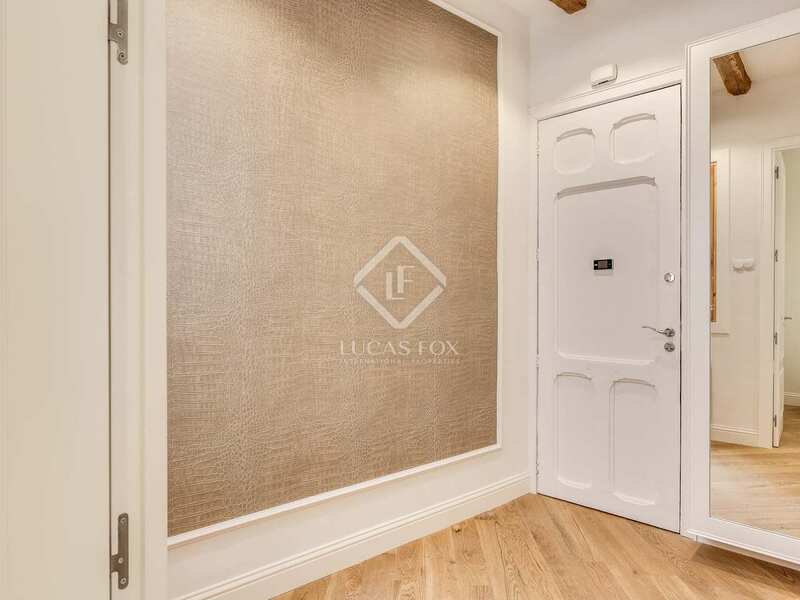 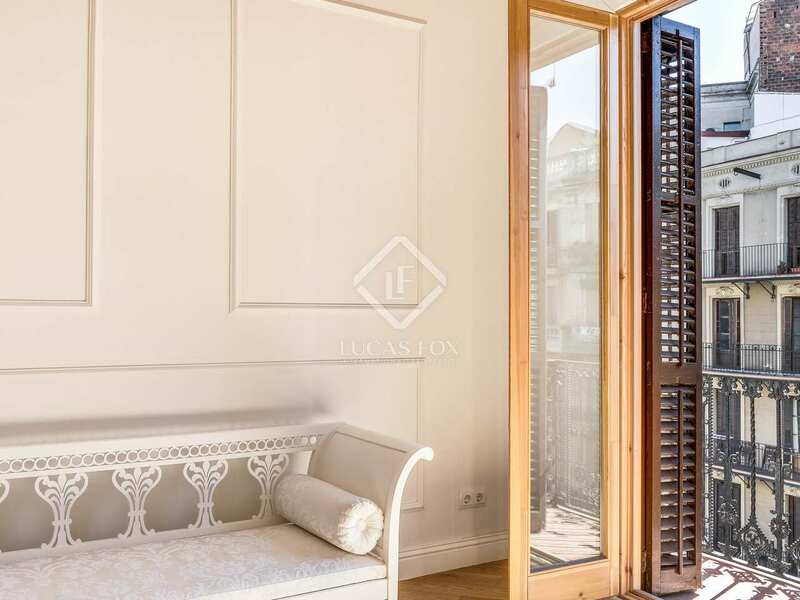 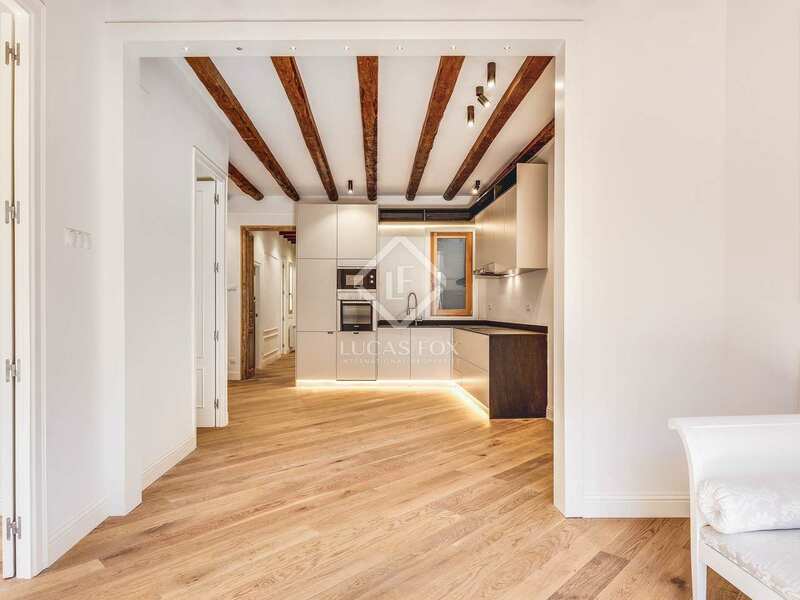 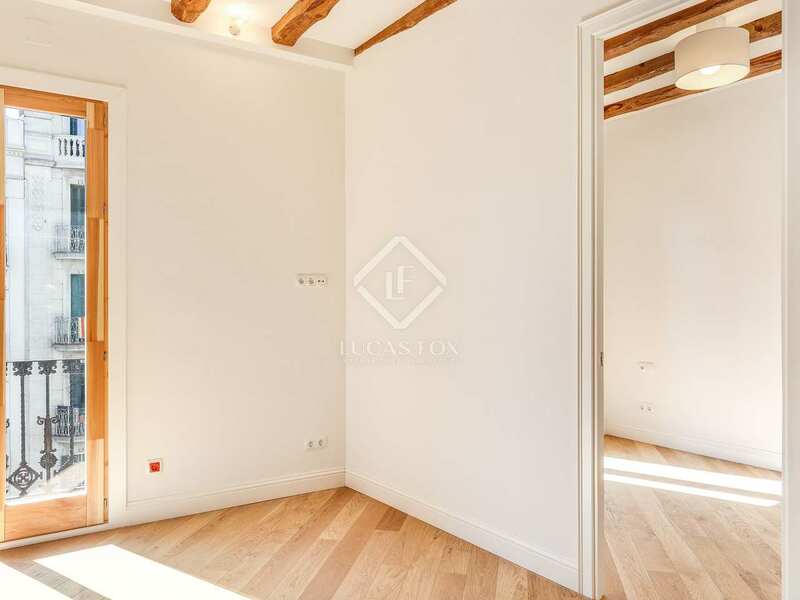 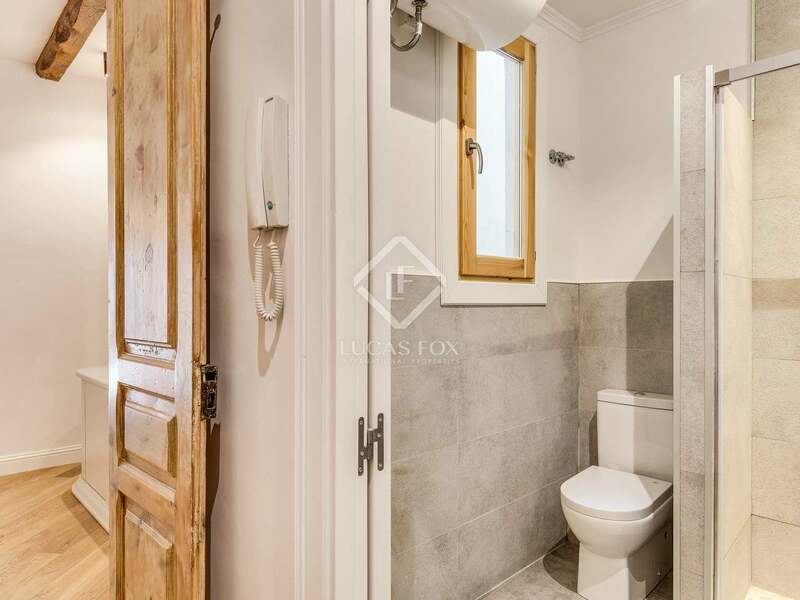 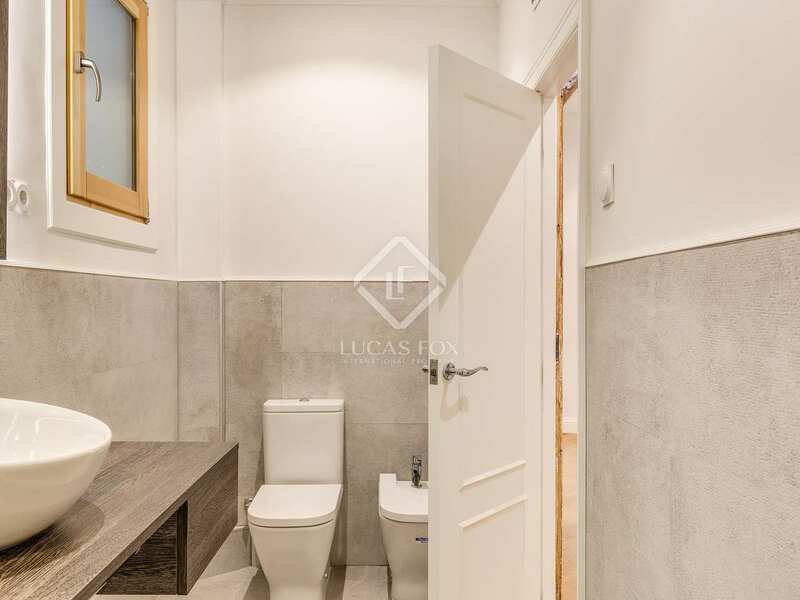 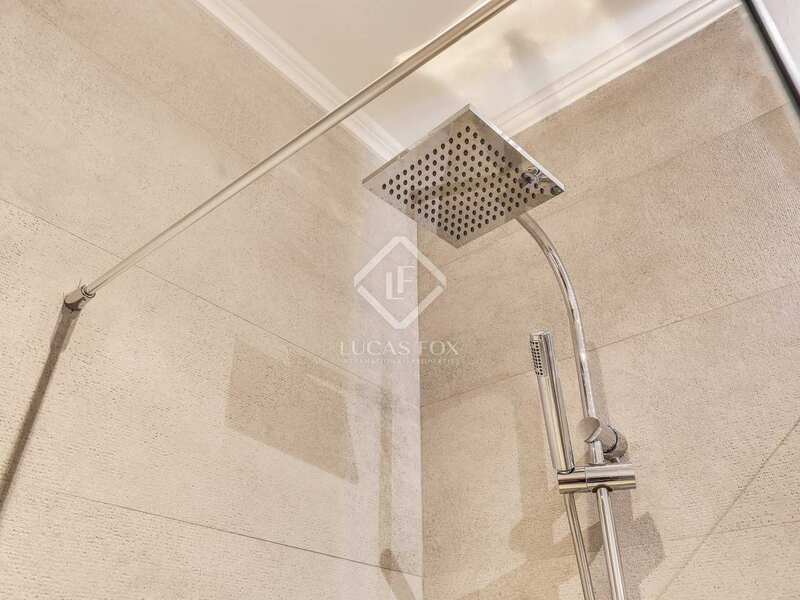 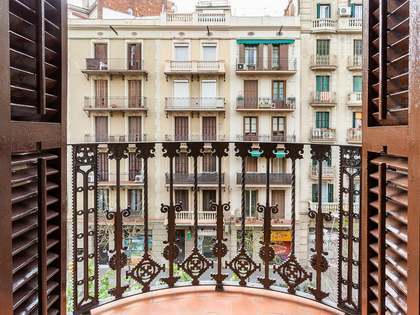 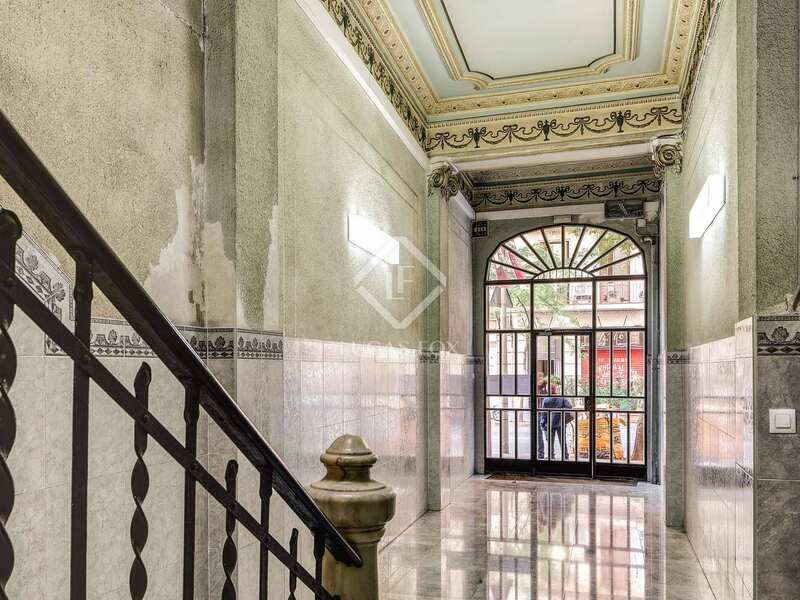 Whether intended as a family home, a pied-a-terre in the city of an investment, this very well renovated 3-bedroom home in a lively Eixample Right neighbourhood has much to offer. 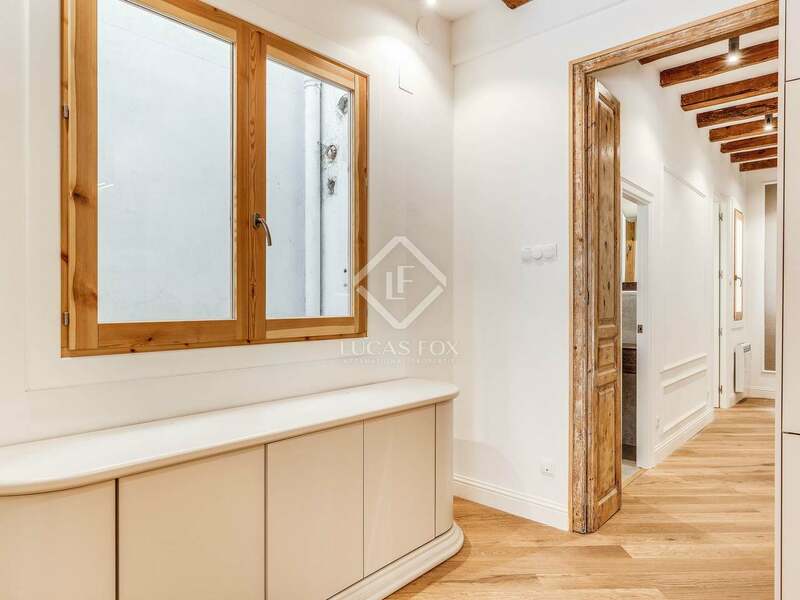 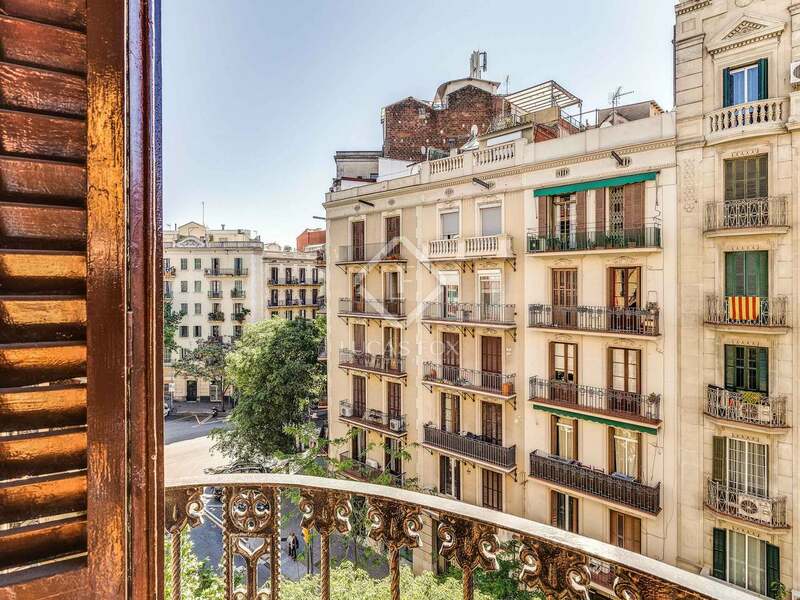 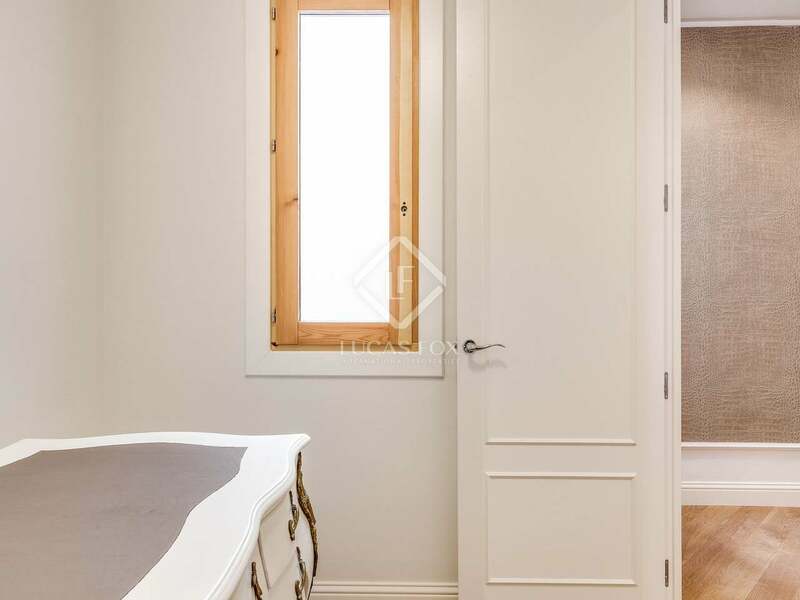 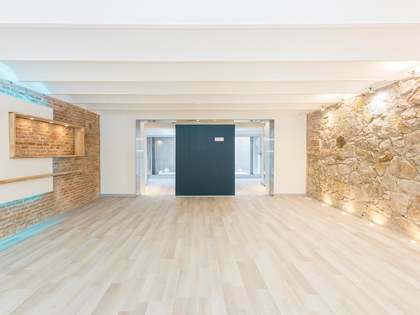 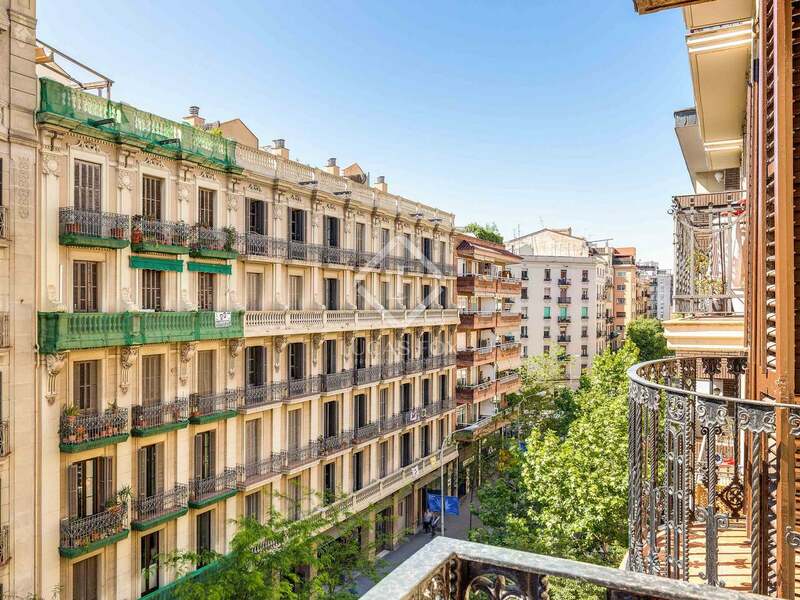 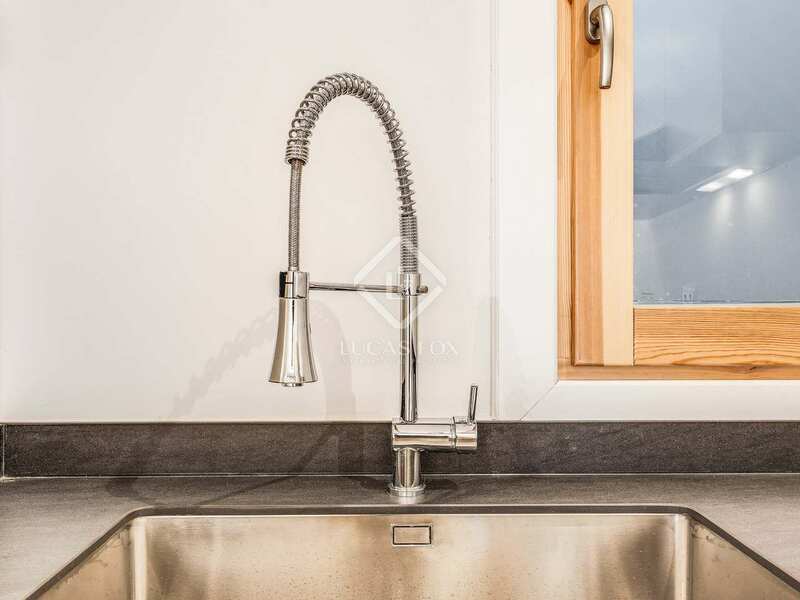 Property located on Carrer Mallorca, just 2 streets away from the famous Sagrada Familia church and conveniently positioned between the Sagrada Familia and Encants metro stations, in a lively area of Eixample Right.